Who was the designer of this space? 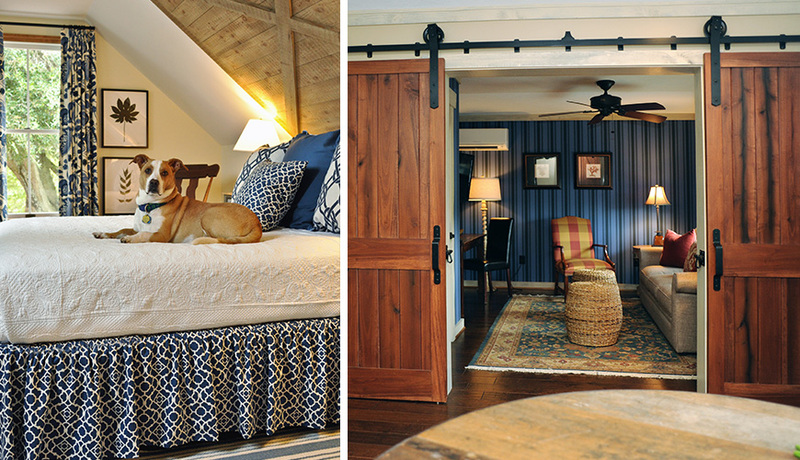 SV: Susan Victor and Sue Shannon (Owners/Lead Designers at Nandina Home & Design) designed this barn apartment. What is your favorite piece/design element of this apartment? 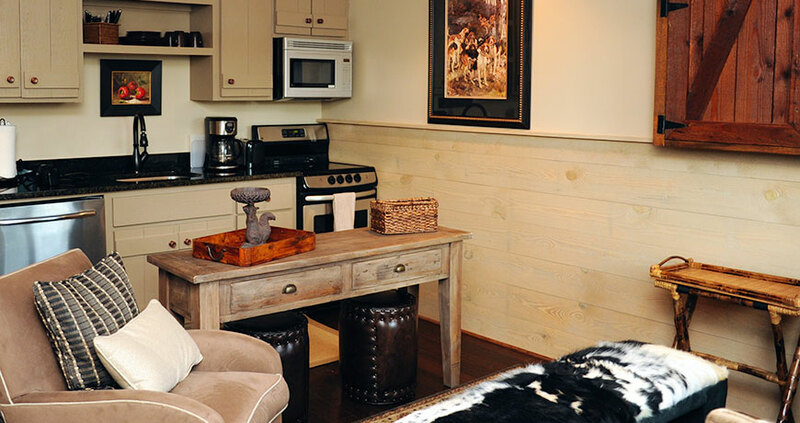 SV: Our favorite design element, was using materials normally associated with an actual working barn, placed unexpectedly in interior spaces.Barn siding for a headboard in a room with eaves, sliding barn doors for interior doors, barn shutters repurposed as interior TV cabinets are just a few examples of bringing the barn home! What was the most challenging aspect in designing this unique space? SV: We were dealing with small spaces that literally were above or adjacent to a working barn. Every selection had to be functional and often perform double duty. All of the surfaces had to withstand dirty boots, pets, and extreme use. What inspired you/did you draw inspiration from when creating this space? SV: The client that is looking for this type lifestyle is often accustomed to being in the outdoors. 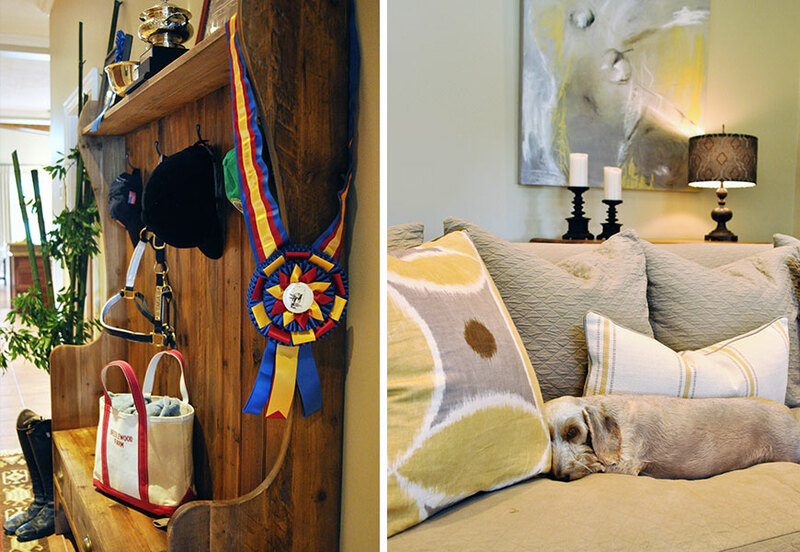 We wanted interiors that would reflect the natural elements that are associated with the equestrian life like wood, stone, steel and open fields. However, we didn’t want it to be all rough wood and equestrian themed. Did your Georgia or South Carolina team take on this project? SV: This was a South Carolina project. 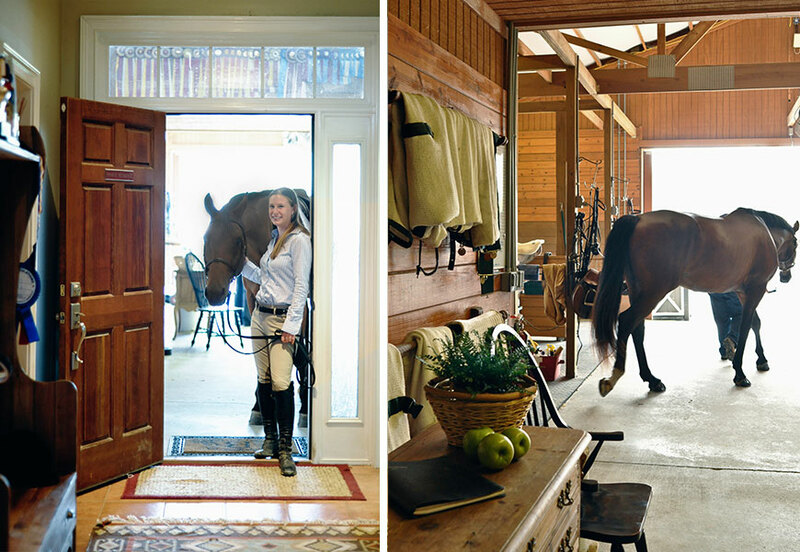 All of the Barn apartments were designed for properties located in Aiken, South Carolina, which is an Equestrian paradise rich in history. In the early 1900’s, wealthy east coast families like the Whitneys, Vanderbilts, and Hitchcocks made Aiken their winter colony retreat and brought with them all forms of equestrian sport – from polo to fox hunting. Do you have any tidbits that you would like to contribute about the overall feel of this apartment/that you would like us to include in this feature? SV: The creative use of simple design elements made each of these barn apartments stylish yet functional. Often barn apartments are utilitarian and stuffed with second hand furnishings. These spaces are full of creative lighting, beautiful yet durable fabrics, functional easy to maintain rugs, and comfortable stylish furniture. 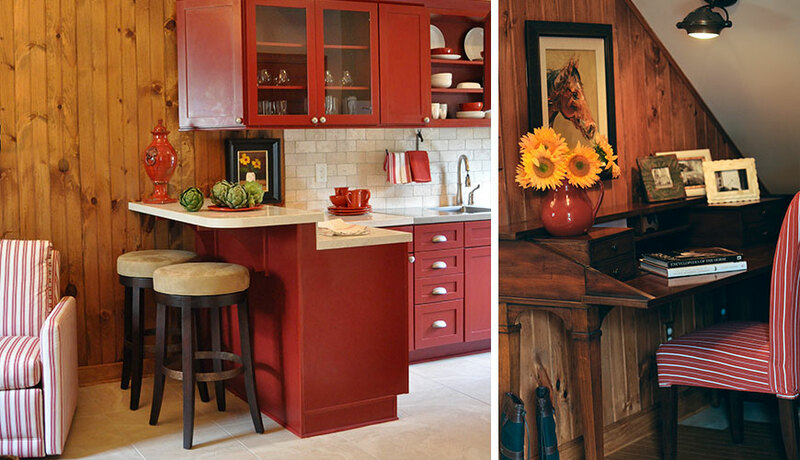 They nod gently to the equestrian style without becoming a theme. 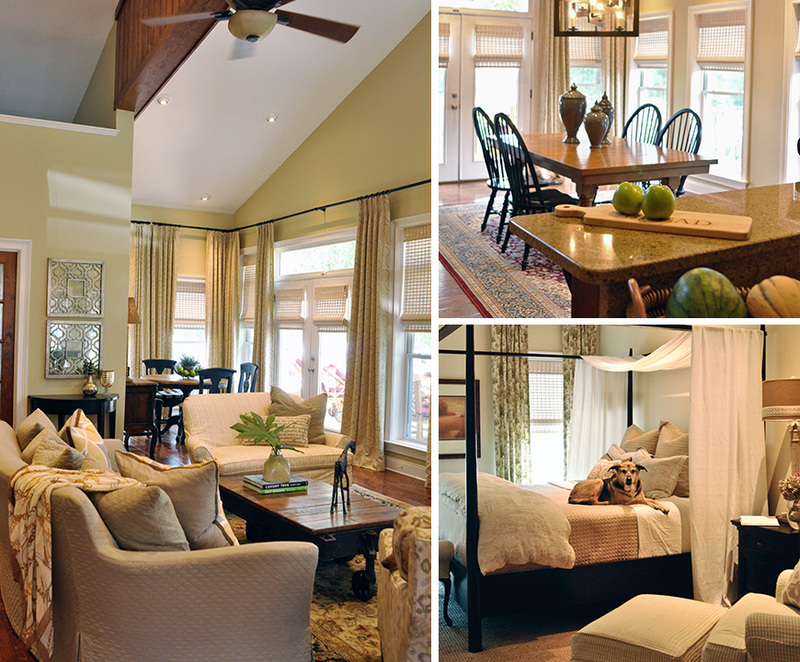 Nandina Home & Design is a premier home furnishings store and full service interior design firm. Our retail locations offer a collection of custom fine home furnishings,original art and and one of kind accessories and gifts. Our highly qualified interior designers use their skills to create stylish interiors that delight even the most discerning aficionado.